It doesn’t take much for the vivid memories of the Christchurch earthquake to come flooding back. Four years on, my body still floods with adrenalin when I least expect. The heavy rumbling of a bus passing a bookshop last week momentarily set me looking for somewhere to hide. Strange really, because when it comes to real earthquakes that we do get from time to time, I feel strong and confident in the knowledge of what to expect. Aside from the lingering sense of nervousness, the after effects of the Christchurch earthquake only show up in my outlook on life. Facing a life threatening situation does wonders for your sense of perspective of what’s important and what’s not. Although there is a big wide world to experience and embrace, ultimately it is only those you love and care about that really matter most. Ten days ago our world was shook up and thrown down in the most brutal way. The aftershocks are painful and I need more strength than I have within me now to write much about it yet. 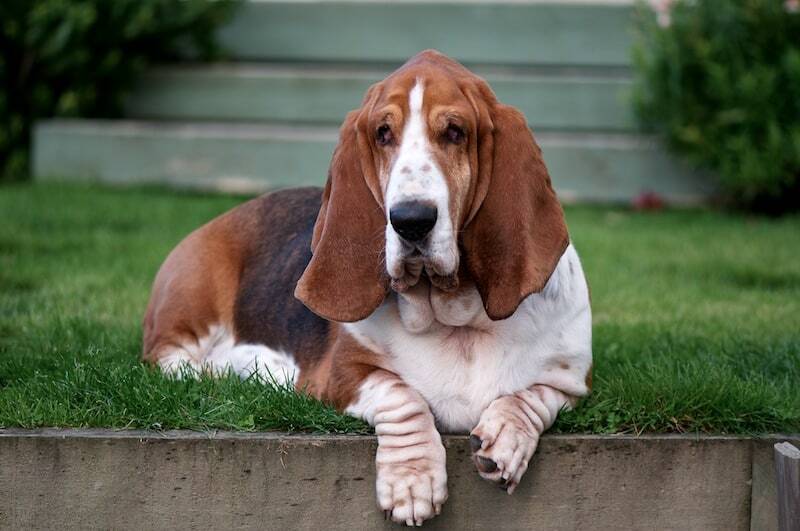 But, the painful fact is that on 12 February we said farewell to our Big Basset, Fortnum. Yes, our larger than life hound is gone from our lives. It was fast from a cancer we didn’t know he had. I am mad as hell about what’s happened and bereft at the enormous gap that can never be filled. Fortnum’s life was full but too short, he was 7 and a half. It’s not like you can ever prepare yourself for the loss of a loved one but the nature of Big Basset’s passing has deepened the shock and grief. Our daily routines that seemed so important before have fallen away, partly because they are a constant reminder of Fortnum but mostly because they just don’t seem to matter any more. Our bassets arrived as a pair. A big one and a little one. A noisy one and a quiet one. One that runs and another that trots. They were a perfect balance, each with their own personalities and foibles but as a package they couldn’t be better matched. Even their names only really make sense when spoken together. Little basset is doing well but he’s never had to be a solo basset. Emotionally and practically we have massive challenges ahead. We’re taking it one day at a time. People tell me it will get easier but so far the pain just dulls until a little aftershock arrives and the grief rolls over in overwhelming waves. Mason says it all with big deep sighs. It’s like an expulsion of air to take the edge of the hurt. A safety valve for the pressure that builds inside. Intellectually I know that over time things will get better. It’s good to focus on practical things and professional work. Distracting the mind fools you thinking that life is OK. But it’s a fool’s game you can’t sustain. Counting my blessings helps. Hugging Mason helps. Talking about Fortnum to all our dog loving friends helps. Crying helps. Receiving love and support from my husband, friends and family helps. The brutal truth is part of our family is gone and we just need to let grief play its gruesome game. And when that’s done, we’ll be able to celebrate, remember and give thanks for all Fortnum brought into our lives. I know how difficult this was to write, it’s a great way to help with the healing process. The little aftershocks are being felt here, on the opposite of the globe. Having Mason padding along can be both a blessing and a curse as while he may be of comfort he’s also a constant reminder of what was lost. Stay strong, the waves do get smaller and further apart, I promise.